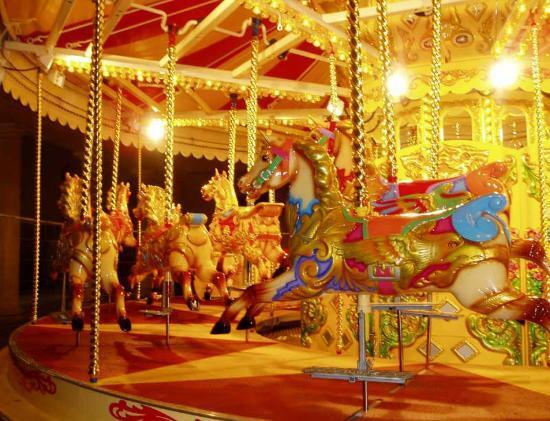 Think back to when you were a small child and when you first rode a merry-go-round (carousel). The horse rising up and down and travelling at speed for a small child probably delighted and thrilled you. No matter how thrilling the ride the horse ultimately ends up in the same place time and time again having only ever travelled in a circle. This is motion. Work can sometimes feel like being on a merry-go-round. Each working day you may be really busy – busy doing ‘stuff’ – and there is no doubt that you are in motion. However, when you look back on the day, the week, the month or the year have you made progress? Ask yourself this – how is the ‘stuff’ that I am doing moving me closer to my real goals? Do I even know what my real goals are? If you don’t know what your real goals are or how the work that you are currently doing is moving you closer to achieving those goals then you may be in motion but unlikely to be making progress. Start with the end goal in mind. It doesn’t matter if the goal is to achieve something today, this week or an even longer time frame. Just make sure that you can articulate the goal as an outcome and not the activity. For example ‘Learn conversational French’ is an outcome, book on a ‘French’ course is an activity. Now that you have a your goal or goals you can start to list the activity or activities required to achieve the goal. Once you have the activities go to your calendar and schedule the activity or activities. Yes, you will find it a challenge at times to protect your scheduled time as the urgent tasks encroach on the important activities that move you closer to your goals. Try to treat that protected scheduled time as if you were meeting an important client or a meeting with the boss of the company – you’ll only protect the scheduled time if you consider it as being really important. So that’s it – simple! You’ve protected your scheduled activity time and during this time you’ll be making progress towards your goals. Everything else and you are probably still on the merry-go-round!